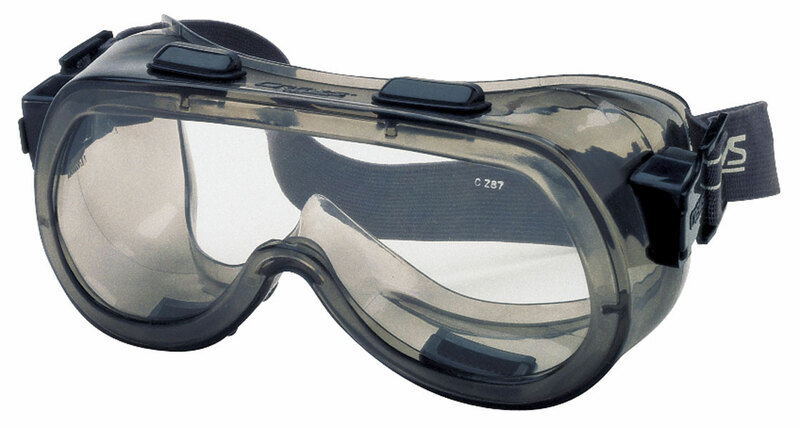 The body design of the 24 Series provides a wide, unobstructed field of vision and can be worn with most half-mask respirators. The transparent protective PVC body permits a comfortable fit over prescription eyewear while protecting against impact and splash. The optional soft foam lining cushions the face and improves the seal. Offered in both scratch-resistant polycarbonate lens and anti-fog lens, the 24 Series is also available with either a wide elastic headband or a neoprene headband for chemical applications.